The end of the school year is quickly approaching, and myriad promotional products will help your business stand out to high school and college graduates. In fact, your company can provide top-notch promotional items like notepads, pens and portfolios to graduates that they will be able to use for years. Promotional products can significantly affect a business. By offering state-of-the-art promotional items to recent graduates, your firm can differentiate itself from the competition, which is critical in today’s economic climate. Additionally, promotional products are cost-effective and come in a variety of colors, shapes and sizes, so your business is sure to supply items that its customers will enjoy. Finding the right time to provide specific promotional products to clients can be difficult, particularly for firms that lack significant resources. 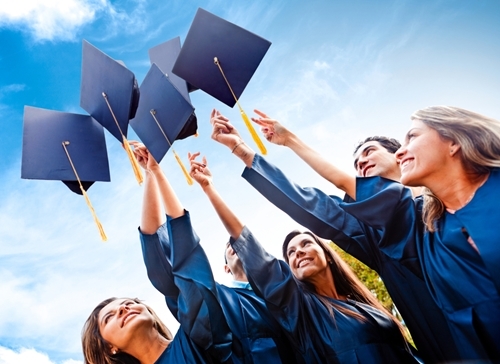 However, graduations are major milestones in the lives of students and their parents, and promotional products can help commemorate these special events. Your business wants to be viewed as an industry leader, and the following promotional items are just a few of the options that your company can use to highlight its brand to recent graduates and their families. Making it through high school or college can be incredibly challenging, especially for those who are involved in extracurricular activities. Even after a student graduates, his or her life can still be chaotic as he or she pursues future goals. While a recent graduate has a degree that may help him or her land a new job, a desk planner will make it easier for this person to stay organized. Desk planners are worthwhile for a company that wants to provide its contact information, logo and other important details about its firm to large groups of people. These promotional products are quality choices for businesses of all sizes, and your firm can help recent graduates stay on track by offering them desk planners that feature plenty of perforated note pages. The promotional products also have helpful reference pages and calendars, which further increases their value to high school and college graduates. With promotional pens, your company can effectively display its brand to a wide variety of clients. Stylus pens are ideal for recent graduates because these promotional products are practical and stylish. Businesses may provide top-of-the-line gifts to high school and college graduates, and few things deliver the benefits offered by promotional pens. These first-rate items are impressive and will serve customers well for extended periods of time, which make them top choices for businesses around the globe. Regardless of a company’s size, promotional pens for recent graduates are valuable, as your business can use these products to leave long-lasting impressions on many patrons without delay. Notepads are perfect promotional items for smaller firms that want to gain a competitive edge over rivals. While major corporations may invest substantial funds to develop their marketing plans, businesses of all sizes can enjoy the benefits provided by personalized notepads that feature the necessary space for firms to share crucial details about their companies with clients. For example, flip-top notepads help businesses deliver distinct messages to their customers. Notepads are unique and memorable, and recent graduates and their families are sure to enjoy these graduation gifts for extended periods of time. Meanwhile, your company could also reap the rewards of providing notebooks to its clientele. Custom printed notebooks are incredibly convenient, and customers can use their notepads at home, work or anywhere they travel and will be constantly reminded of your firm.